Cosmetic Injections and the Ophthalmologist Botulinum toxin and dermal fillers are old ophthalmic products that can help your practice now. BY STUART R. SEIFF, M.D., F.A.C.S. It is absolutely reasonable that ophthalmologists incorporate the aesthetic uses of botulinum toxin and dermal fillers into their practices. Both of these products were developed by ophthalmologists and/or for ophthalmic purposes. Ophthalmologist Alan Scott, M.D., developed botulinum A toxin for the treatment of strabismus, and later for blepharospasm, approximately 3 decades ago. Current hyaluronic acid dermal fillers had their origins as an intraocular viscoelastic substance familiar to virtually all ophthalmologists. Offering your patients injections of both Botox (Allergan Pharmaceuticals) and fillers has become, as you have doubtless heard, a very effective way to boost a practice's revenue. Following is a guide to understanding each product's function and how to use it to best effect —for both aesthetics and profitability. Botulinum toxin is a neuromuscular blocking agent produced byClostridium botulinum. Botulinum toxin paralyzes muscles by inhibiting the release of acetylcholine from the presynaptic nerve terminal of the neuromuscular junction. The FDA approved the use of botulinum toxin type A (Botox) for the treatment of blepharospasm and strabismus in 1989. In April 2002, the FDA announced the approval of Botox Cosmetic for the temporary improvement of glabellar lines. Off-label uses in the periorbital region include management of canthal lines (crow's feet), brow elevation and reduction of frontal lines. We must remember that botulinum toxin is a paralytic agent, not a filler. It relieves rhytids formed by repetitive movements. The toxin must be injected into the offending muscle, not into the rhytid. Further, the injection must be placed at the proper level to maximally affect the muscle in question and minimize side effects. Patients will generally see no paralytic effect for 3 to 7 days. Each injection typically lasts 3 to 4 months. However, wrinkle reduction may not become evident for 3 to 6 months. Clinicians vary in their preferred dosing of botulinum A toxin in the periorbital area. I prefer a concentration of 2.5 units per 0.1 cc (4 cc unpreserved normal saline in 100 units). A tuberculin syringe with 30-g needle works well. Some patients like to be injected after placement of a topical anesthetic, but most find this to be of limited value. When injecting a superficial muscle, a bleb should be raised. The toxin should be placed deeper for less superficial muscles. Following are the common targets for Botox injections. ■ Glabellar furrows. The target muscles for the management of glabellar furrows include the medial orbicularis oculi, the corrugator supercilii and the procerus. The injections should be just anterior to the periosteum as these muscles are deep. Two injections are generally placed in the corrugators and one centrally for the procerus (Figure 1). 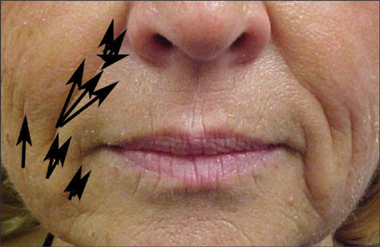 Relaxation of glabellar lines tends to be the most predictable and satisfying of facial botulinum treatments (Figures 2,3). ALL IMAGES COURTESY OF STUART R. SEIFF, M.D. Figure 1. 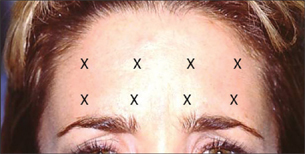 Location for injection of botulinum toxin: X = glabellar frown lines, B = brow lift, C = crow's feet. ■ Lateral canthal lines (crow's feet). The crow's feet lines are formed by contraction of the lateral superior and inferior orbicularis muscle during squinting and laughing. Therefore, these injections should be placed laterally in an intradermal fashion with bleb formation, given the superficial location of the orbicularis muscles. I typically place one injection above the lateral raphe (for brow elevation, as well) and two below (Figure 1). Unfortunately, management of crow's feet tends to be more variable than the typical success seen with glabellar injections. ■ Brow lift. Botulinum toxin can be useful in gently elevating ptotic brows, especially temporally. The target muscle is the temporal orbital orbicularis oculi, which depresses the lateral brow. This muscle is, again, superficial so intradermal placement with bleb formation is appropriate. Generally, 0.1 to 0.2 cc's are adequate (Figure 1). This, combined with the medial glabellar treatment, can produce nice brow elevation and reduction of secondary dermatochalasis in the lids (Figures 2 and 3). This chemical brow lift is most effective when combined with fillers as described below. Figure 2. Patient before botulinum toxin injection demonstrating frown lines and lateral brow ptosis. Figure 3. Two months after botulinum toxin injection demonstrating reduction in ability to frown and static glabellar lines. Mild temporal brow elevation with reduction in upper lid dermatochalasis can also be seen. ■ Frontal rhytids. Many patients desire to have their frontal furrows reduced, both with and without facial expression. The target muscle is the frontalis, which lies just anterior to the pericranium. Therefore, injections targeting this muscle must be placed deeply. Anywhere from 0.2 to 0.4 ccs per side tend to be effective (Figure 4). Remember, the frontalis lies between the brows and normal hairline. Overtreatment can lead to eyebrow collapse, counteracting the effect of brow lift efforts and closing down the eyelid space. Injections in this area can also be effective in decreasing migraine headaches. Figure 4. Placement of botulinum toxin injections for reduction in frontalis action. Botulinum toxin injections work by paralyzing muscles that cause skin wrinkling through repetitive contraction. For the toxin to be effective, the offending muscles must be inactive for sufficient time that the skin wrinkles can relax. You must emphasize to patients that the effect is not instantaneous and they must continue treatment for at least 6 months to see the effect. They must be regularly treated during this time or they are wasting their money. Therefore, the patient should commit to completing the regimen before embarking on botulinum toxin therapy. The patient should receive the first set of injections at an initial visit when this discussion occurs. They should then receive additional injections 3 months later and return for a 6-month evaluation. If they are satisfied at that point, they should receive another set of injections, and persistent deep rhytids may be amenable to dermal filler therapy. The patient should return at 3- to 4-month intervals when they begin to see movement in the treated areas. Minor movement will not cause the rhytids to reform but this indicates the patient needs to return for reinjection. Dermal fillers are an important adjunct to botulinum toxin in facial rejuvenation. Many filler substances are available including human and bovine collagen (Zyderm and others, Inamed Aesthetics), calcium hydroxyapatite (Radiesse, Bioform), poly-L-lactic acid (Sculptra, Sanofi Aventis), PMMA, silicone and hyaluronic acid (Restylane and others, Medicis, and Juvederm and others, Allergan). For the ophthalmologist, it is probably reasonable to start with offering the hyaluronic acid products to your patients. These products are typically manufactured via a fermentation process, thus the terminology: nonanimal-stabilized hyaluronic acid (NASHA). The proposed advantage is less antigenicity and potential for allergic reactions. 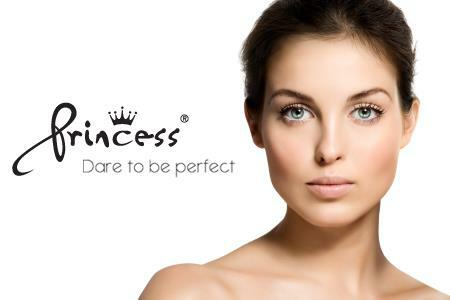 Therefore, unlike the bovine collagen products, skin testing is not necessary. The molecule size and cross-linking is generally increased compared to most of the formulations for intraocular use. These characteristics generate the prolonged duration of action of these products. The NASHA fillers tend to be cost-effective, can be injected in virtually all areas considered for fillers, and can be dissolved by another product familiar to ophthalmologists, hyaluronidase, if the physician or patient is dissatisfied with the result. Although not a region of the face typically treated by ophthalmologists, the nasolabial fold is the FDA-approved and easiest area to improve with dermal fillers. Thus, this is the best area to start treating. Select a NASHA for the first few patients. An intraoral injection of 1% or 2% lidocaine into the region of the nasolabial fold is recommended for patient and physician comfort. Most NASHAs can be injected through 27- or 30-g needles attached to the pre-loaded syringes. One-half-inch needles give the best control. Place the filler at a deep dermal level to avoid blue discoloration of the skin when the material is too superficial. I find it easiest to inject in a fan-like fashion, with more filler placed below the fold than above (Figure 5). Additional filler can be placed in adjacent rhytids. This technique typically gives a very satisfying result (Figures 6 and 7). Figure 5. Fanning technique for placement of hyaluronic acid filler in deep dermis. Figure 6. 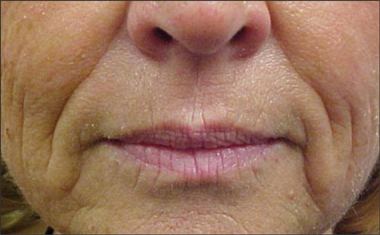 Prior to placement of filler in nasolabial folds. Figure 7. Two months after placement filler in nasolabial folds and adjacent rhytids. As the ophthalmologist gains experience and comfort with the technique, other areas can be filled including the lips, brows and tear troughs. Other products can also be considered. 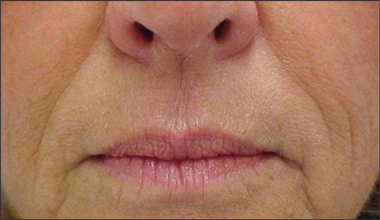 I have found that the calcium hydroxyapatite filler (Radiesse) provides slightly more filling effect per volume in the nasolabial folds, but should not be used in the lips due to the potential for nodule formation. At first glance, treatment of frown lines and nasolabial folds is not something that ophthalmologists consider as a routine part of their practices, and nor do their patients. However, given the historical perspectives discussed above, this addition to the practice should come naturally. Brochures and posters in the waiting areas and exam lanes will begin the information process for your patients. The obvious attraction of these procedures is their patient self-pay basis. Ophthalmologists are increasingly aware of these types of procedures, with refractive surgery and multifocal IOLs offering relief from increased government-driven fee limitations on much of our daily work. However, the high cost of these products and the competition in urban markets limit the bottom-line profits. In many offices, the staff can take the lead in educating the patient, saving you time; however, the physician must still have input in discussing treatment options, limitations and effectiveness for each case. Further, most ophthalmologists do not have injection-licensed assistants in their offices, so the physician must inject the product. This requires between 5 and 20 minutes, depending on the product. So one must include staff and physician time in determining profitability. Botulinum toxin is probably more cost-effective than fillers for most offices. It costs more than $5/unit and the average aesthetic treatment uses between 10 and 25 units; thus typical material costs are approximately $100/treatment. Total charges must account for this plus physician and staff time, while remaining competitive with other "injectors." I have found that there is minimal profit in the initial visit and injection session, but subsequent injections yield a modest margin. 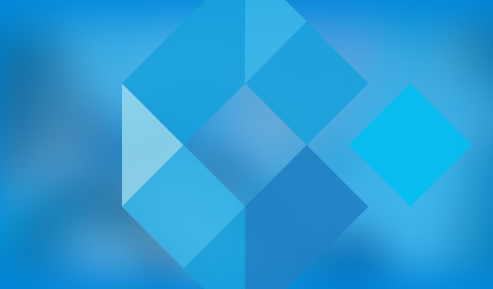 In general, most markets seem to support the fee of a complex office exam plus product costs, while requiring the "time" of a brief exam for the follow-up injection sessions. Remember, botulinum toxin patients need to return every 3 to 5 months for reinjection, potentially making this a small but ongoing profit center for the practice. Most practices will have only a limited number of patients requesting botulinum toxin injections at first. It is therefore quite helpful that botulinum toxin can be stored in the refrigerator for up to one week with minimal loss of potency. The hyaluronic acid fillers are probably the most cost effective and least problematic for the ophthalmologist to start with. These tend to be the least expensive and can be dissolved with hyaluronate, as mentioned, if doctor or patient do not like the result. To limit inventory costs, I suggest stocking one versatile product such as Restylane or Juvederm. Product costs are significantly more than for botulinum toxin, ranging from $200 to $300 per syringe. Initial consultation for fillers is similar in time as for botulinum toxin, but each injection session may include the need for anesthetic injection. Further, each filler injection session requires careful evaluation and placement of the filler, so it is somewhat more complex than botulinum toxin injections. Thus, filler sessions are more costly to the patient and physician. Most markets seem to support prices between two and three times the cost of the filler, which must be completely used by one patient at each session. Again, compared to other surgical procedures, the profit margin is not huge. However, most filler patients should receive botulinum toxin injections at the same session, as its effects and those of the fillers are complimentary. Patients need filler every 6 to 12 months but botulinum toxin every 3 to 4 months, thus most patients will need it at each filler visit. Filler patients generally need to be retreated at 6- to 9-month intervals. Stuart R. Seiff, M.D., is professor of ophthalmology at the School of Medicine, University of California San Francisco and chief of the Department of Ophthalmology San Francisco General Hospital, San Francisco. He claims no financial relationships with any of the companies listed in this article.